It’s been a while since we’ve posted our Behind The Spud, but fear not! We are back and ready to keep you up to date with our latest developments! Holy Potatoes! A Mobile Game?! Have you ever wondered what NPCs get up to when you’re out exploring a game world? Holy Potatoes! A Weapon Shop?! 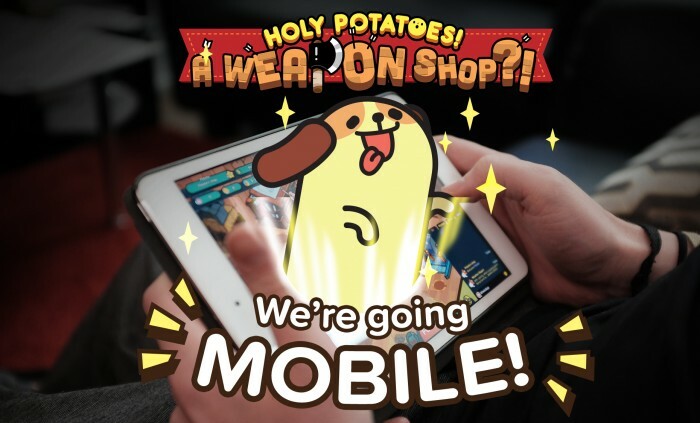 which will finally release on mobile mid-July, is a simulation game where you manage your very own weapon shop and expand its business across an incredible potato universe. 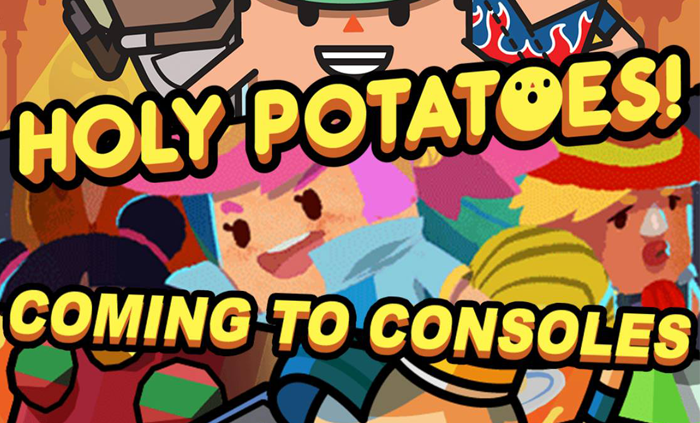 Using your potato smiths to forge weapons, you meet more than 70 pop-culture potato heroes, forge over 200 weapons, expand your business into 20 wacky areas, and even adopt your very own potato dog! I was originally drawn towards Holy Potatoes! A Weapon Shop?! by its name and bright, cartoon art style. But then I found out that you can tell Cloud his Buster Sword is too huge and, well, now I love the idea of this game. In it, you manage a team of potato blacksmiths. This means you get to forge various weapons for heroes as they stop off at your shop to kit themselves out for whatever manifestation of evil they’re looking to fight. Why you’re a potato is beyond me, but hey, if GLaDOS can be a potato then so can I. If you love match-3 role-playing games like Puzzle & Dragons and Heroes & Monsters, you will be excited for the newly released Spirit Horizon, which is developed by Daylight Studios and published by IAHGames for key Asian markets. 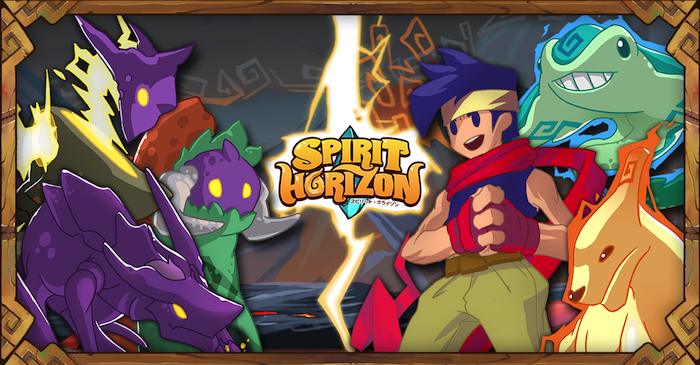 Spirit Horizon combines the challenge of match-3 puzzle mechanics with exciting fast paced battle gameplay. In the game, you will chain up great combos and deal massive damage to your enemies as you set out on your adventure to save mystical world of Kaldera! Developed by Singapore’s Daylight Studios and published by IAHgames, Spirit Horizon is a shiny new fantasy match-3 puzzle adventure mobile game. It is less like Candy Crush and more like Line Jelly. Gems in Spirit Horizon come in four different elements — fire, wind, water, and earth. Players must connect three or more gems to create combos to fight monsters. The more combos you have, the more damage you will be dealing to the incoming Mist monsters. Spirit Horizon also attempts to add in some interesting challenges to the gameplay. For example, gems could be burning under a mob’s special power. You can still burst the gems, but the side effect is that you will be dealt burn damage. A couple of days ago, Indonesian feature phone game developer Kotagames launched its newest game titled Hisho Collection Mall Empire. The beta game was originally open to just 5,000 players, but that figure has been increased to 10,000 players now.